Today was our first day of walking. We had Mass at 7.00am in the Conversion chapel. After breakfast we gathered in front of the Hotel Arrupe. Our guide Luis Renes, the Director of Nativa Tours, led us over to the Tower House of the Loyola family and we each stood on the step which Inigo would have stood on as he left his home on his pilgrimage in 1522. 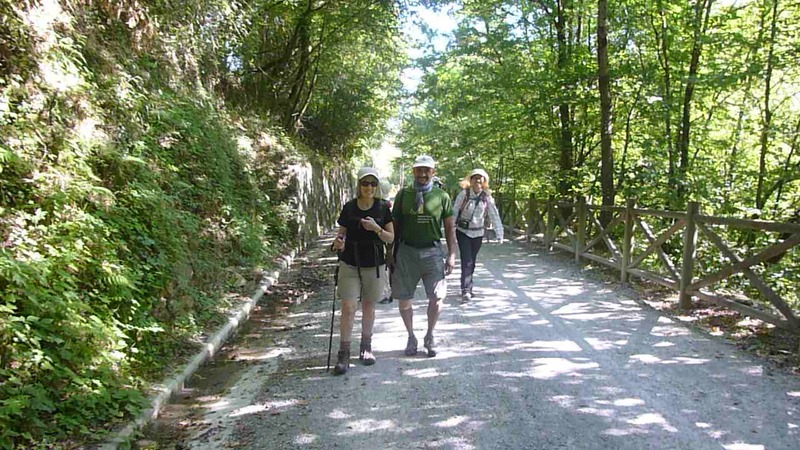 Led by Luis and Fermin Lopetegi, a local Basque man who has walked the Camino to Santiago de Compostela 13 times and the Ignatian Camino twice, we walked through absolutely beautiful scenery following the old railway line to Zumárraga. We set a very leisurely pace as we have a long way to go (640 km) until we reach Manresa and we don’t want to get injuries early on the pilgrimage. We passed through the town of Azkoitia, home to the impressive church of Santa María la Real and some lovely tower houses in the old quarter. We followed the River Urola valley all the way to Zumárraga. 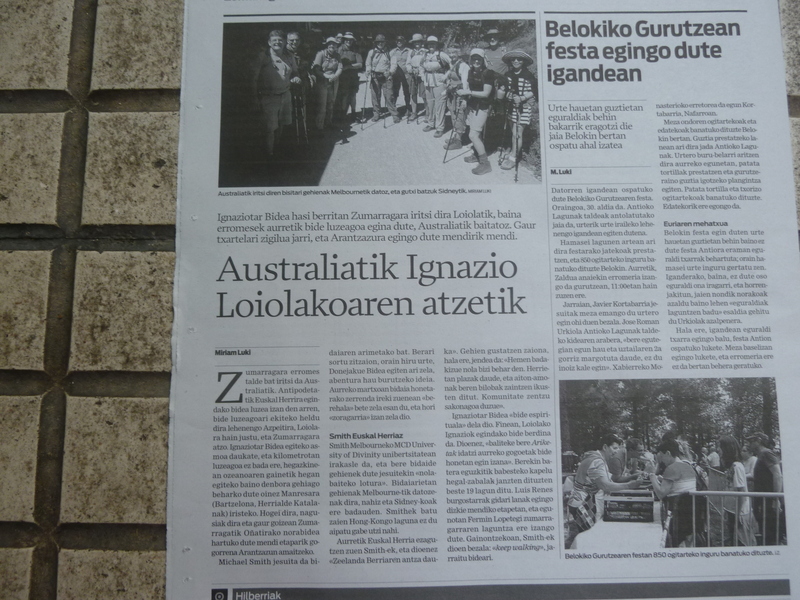 On the outskirts of Zumárraga the group was met by two women reporters from different local newspapers both of whom interviewed me about the Ignatian Camino and why we are doing this. I understand that Fermin Lopetegi let the press know we were coming. 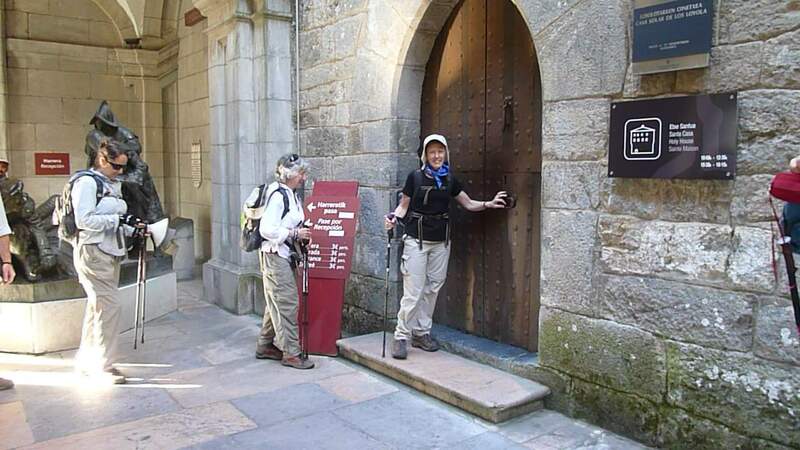 We are the first organised group of pilgrims to undertake this Camino. 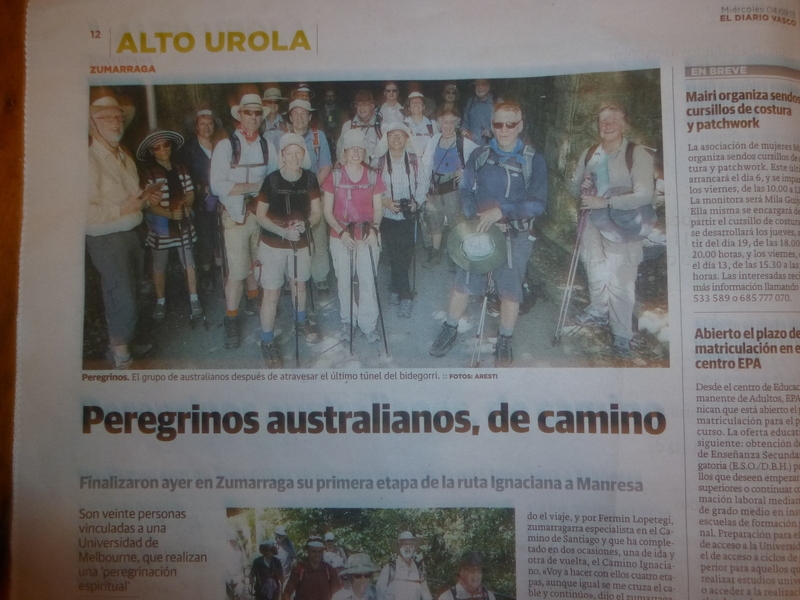 The local Basque people seem fascinated that a group from Australia would come all this way to walk the Ignatian Camino. When did I experience joy today? When did I struggle today? How was the Scripture or Ignatian theme reflected in my day? What, from the sharing of others in the group, had an impact on me? Is there anything else I would like to share in light of what I have heard? We are staying at the Hotel Exteberri. It is a beautiful hotel with a garden and we are amazed that it only has a 2 star rating. We would recommend it to anyone visiting the Basque country. The restaurant offers Basque cuisine and we had a delicious meal this evening. 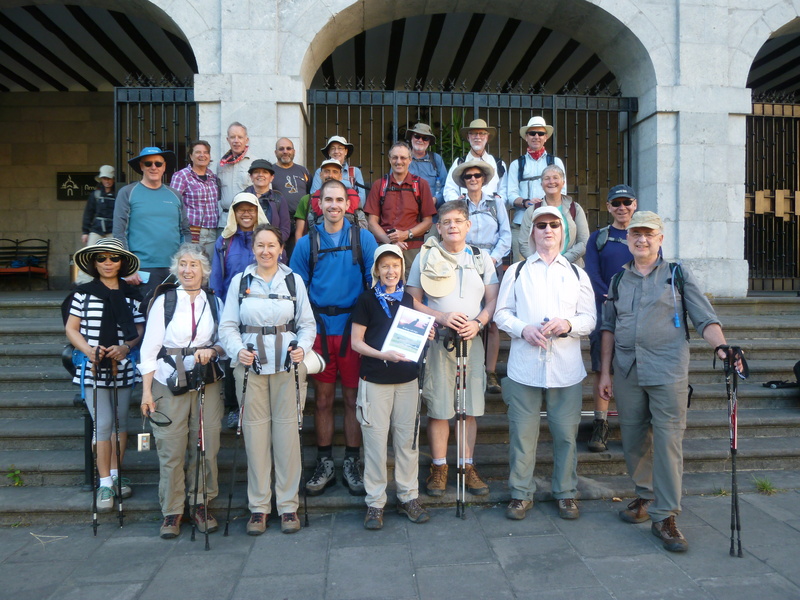 Blessings and good wishes to all of you as you start your pilgrimage from Faber Centre of Ignatian Spirituality in Brisbane, Australia – John and Faber Team (www.faberspirituality.org.au).